Shipping fragile and expensive merchandise is always a stressful process. Ensuring that your products arrive at their final destination in one piece is paramount to both your commodities and reputation. Industries have been shipping these vital packages for years and by now, we all know what has to be done to assure a safe delivery. You first wrap the merchandise in bubble wrap, place it in a cardboard shipping container, add a bag of packing peanuts, and then seal and address your package for shipment. As far as this procedure goes, there have not been extreme improvements to packaging and shipping supplies – until now. A clever packaging technique called foam-in-place was discovered to replace the out-dated bubble wrap and packing peanuts. This packaging system involves two chemicals: isocyanate and Polyol (resin). Foam-in-place is applied through a gun that enables the two chemicals to remain separate until the time of the application. Once these intermix, they create a foam-like reaction. This foam then grows and takes the shape of whatever material is being shipped. Instead of buying and using bubble wrap to protect your merchandise, all you have to do is wrap it once in a film and apply the foam-in-place on both the bottom and top of the product. 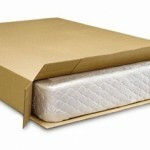 Once the foam hardens, you can close and seal the package. Its minimal space requirement, easy installation and maintenance, and safety features make this product very desirable for companies who ship fragile and expensive packages often. The main disadvantage to this foam-in-place method is the cost. The chemicals and gun applicator can be pricey, so not every small business will be able to afford this right away. However, any expenses you may incur due to broken merchandise will cost you more in the long-run and you will constantly have to replace mishandled items if not insured (not to mention, the cost of insurance can put a damper on your expenses). 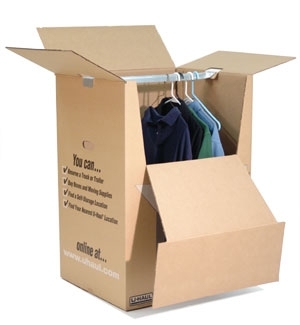 By replacing some of your current shipping and packaging supplies with foam-in-place, you will decrease your time spent on packaging as well as your overall material waste. You will not have to worry about damaged products or customer dissatisfaction because your items will always arrive in one piece. For more information on the foam-in-place process and equipment, call 1-866-760-7866 and speak with a representative today! Shrink wrap is used for a variety of different materials across a number of industries. Whether you need to seal food, CDs, or large boats, shrink wrap is a great material to use to assure your packages have a quality enclosure. Also called shrink film, it is fabricated from polymer plastic film. Heat is applied either with a heat gun or a heat tunnel and causes the film to shrink tightly over whatever it is covering. The most common shrink wrap is polyolefin. It is available in a variety of thicknesses, clarities, strengths, and shrink ratios and can be cross-linked or non-cross-linked. Overall, this type of shrink wrap is less maintenance and provides a cleaner, higher quality wrap. This polyolefin film is popular with food products, gift baskets, and bundling. A huge advantage to using polyolefin shrink wrap is that it emits very little odor, so you can use it indoors or in covered areas. It also does not become brittle or yellow with age nor does it break down during the heat-sealing process. However, this is not the case with the second type of shrink wrap, PVC. PVC is strong and flexible but it emits an unpleasing odor. It is very brittle and not safe to use with food products or for bundling multiple products together. A good thing is that PVC film only requires a low heat level to shrink (200-275 degrees) as opposed to polyolefin film, which withstands much higher temperatures (300-375 degrees). PVC shrink wrap is common for packaging CDs, DVDs, boxes, software, and other non-edible products. Three variables play an extremely important role in the heat-sealing phase of packaging with shrink wrap: time, temperature, and pressure. Without the correct balance of these three characteristics, the quality of the seal can be poor or possibly won’t cut. By using either a heat gun or a heat tunnel, the film can shrink in one direction or both (uni-directional vs. bidirectional). After the impulse sealing cycle, a cooling cycle allows the film to solidify and tighten. At the TOTALPACK store, we offer PVC shrink wrap and polyolefin film available in either vented or not vented options. Vented wrap simply means that there are little holes in the film to allow for air evacuation after the seal and is used mostly for packaging beverages. We also offer a top of the line heat gun for sealing. Our heat gun (Shrinkfast 975) can shrink an object as large as 40”x48”x60” in less than two minutes – now that’s time savings! The Shrinkfast heat gun is the most economical gun for shrink-wrapping boats in a timely, efficient manner. Check out this heat gun, along with our other shrink wrap items here and protect your boat today!